It’s no secret that I love crafting with found and natural materials! 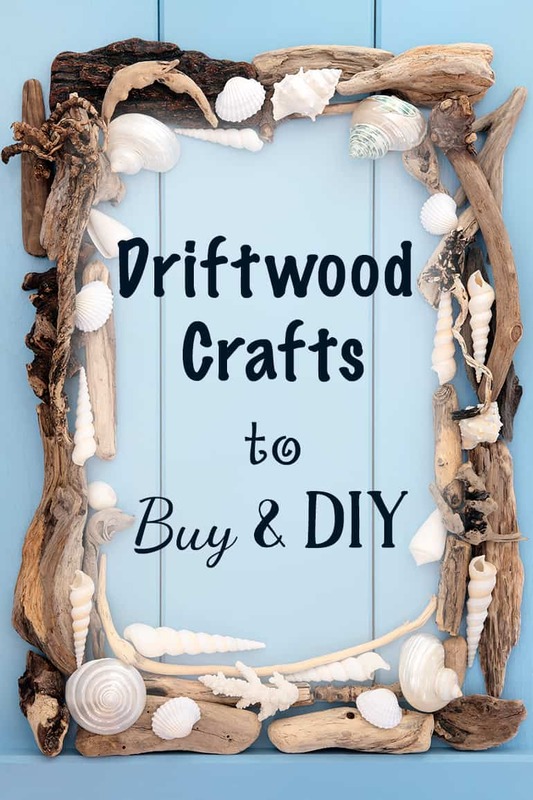 Since I live near the ocean and love collecting driftwood, I already posted a roundup of driftwood crafts to DIY. I also like crating with sticks, I just don’t have as many opportunities to find ‘good’ sticks where we live. In West Virginia I pick up plenty of sticks, though! I have to admit – it’s hard to haul some of them off instead of hanging on to them for a craft! I can’t realistically keep all the sticks, so instead I put together a roundup of crafts with sticks and branches! These natural crafts with sticks take advantage of free crafting materials found in nature (and they might even make yard work a little more fun). From tiny twigs to large logs, this natural crafts roundup has something for sticks of all sizes. Alright, let’s look at some crafts with sticks! Isn’t this painted sticks picture frame from Soul Makes unique and adorable? Are you a heart lover? 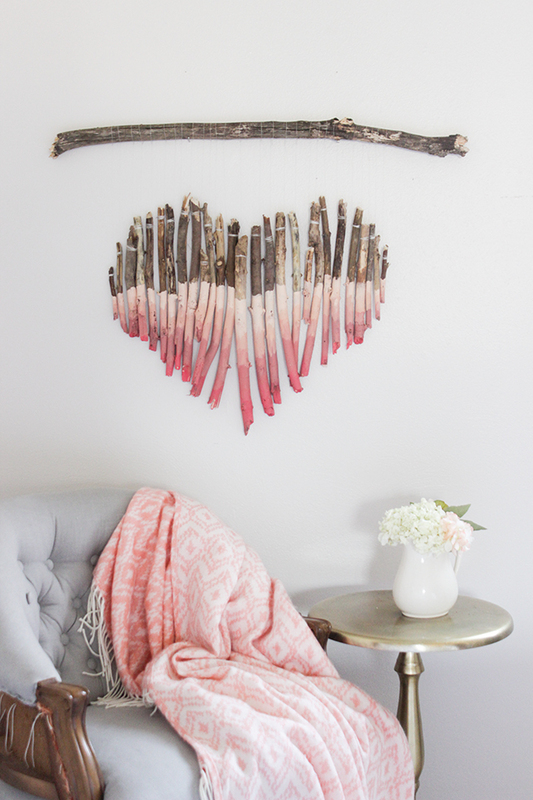 This branch heart wall art from Shades of Blue Interior is for you! These stick coasters from Follow Fashion are a lot of fun! The tutorial isn’t in English, but there are step-by-step photos so it looks easy enough to follow along, anyway. 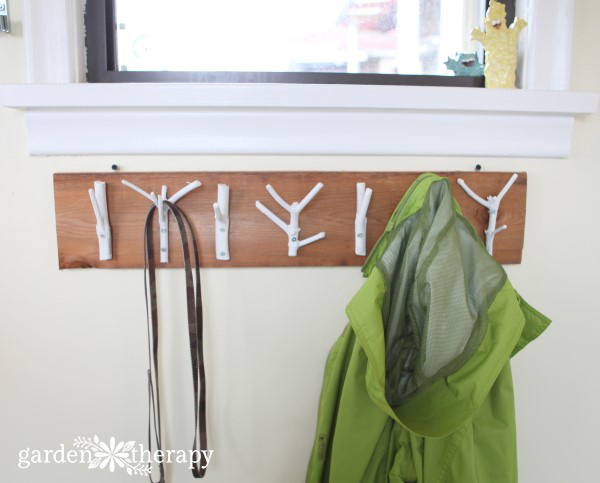 This natural branch coat rack from Garden Therapy is cute and functional! 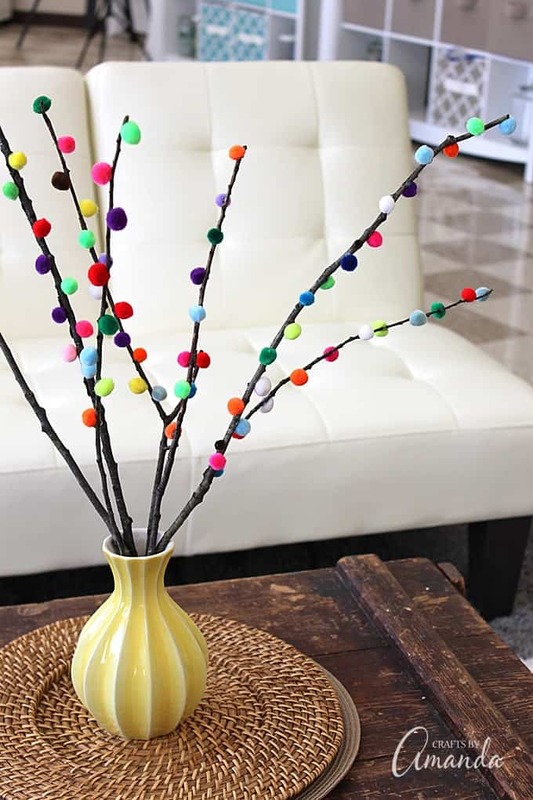 These adorable pom pom branches from Crafts by Amanda would brighten any room! Do you have a tree that just won’t stop dropping sticks? If so, you can put some of those sticks to work when you learn how to make a twig wreath with DIY Design Fantastic. If you have a fairy garden, you’ll like these mini twig chairs from One Inch World! We’ve all seen variations on the twig candle holder/vase theme, but this twig flower pot from Nini Makes is too cute not to share! 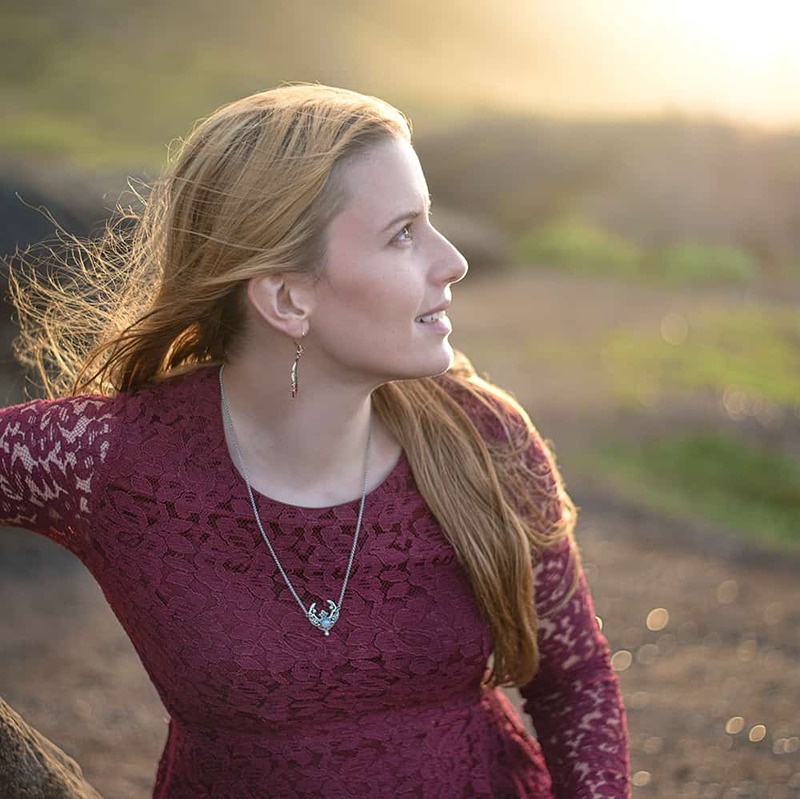 Are you ready to graduate from twigs to full-sized branches? This birch branch side table from Seeing Design is for you! 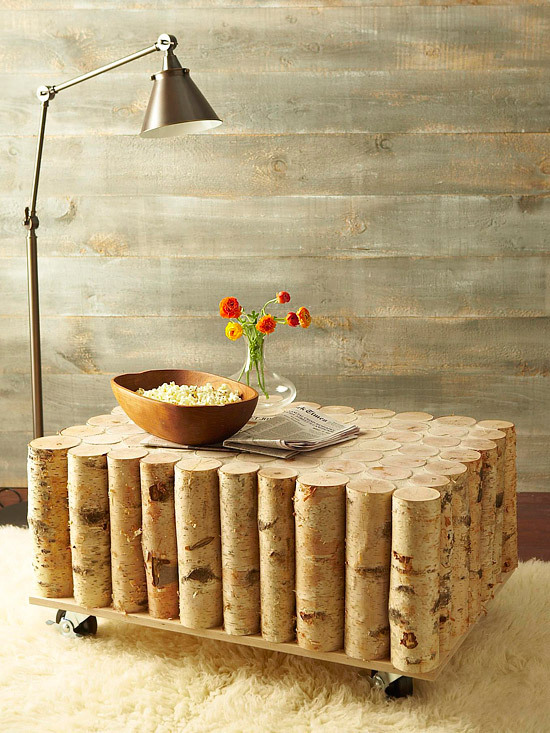 While you’re collecting branches, why not make this birch log coffee table from Better Homes and Gardens, too? While creating this roundup of crafts with sticks and branches, I got several ideas for things I’d like to make. Hopefully I find the perfect sticks while I’m away and can share a few fun, natural craft tutorials of my own soon! Do you ever use found materials for your crafts? What’s your favorite found/natural crafting material? Love the coasters and the one with the pompoms! great post! I never thought about crafting with sticks like this …. I have a huge pile in the backyard as we have lots of trees on the property and they shed sticks all over the place. We just use them for kindling, but I might just be looking at that pile differently now!